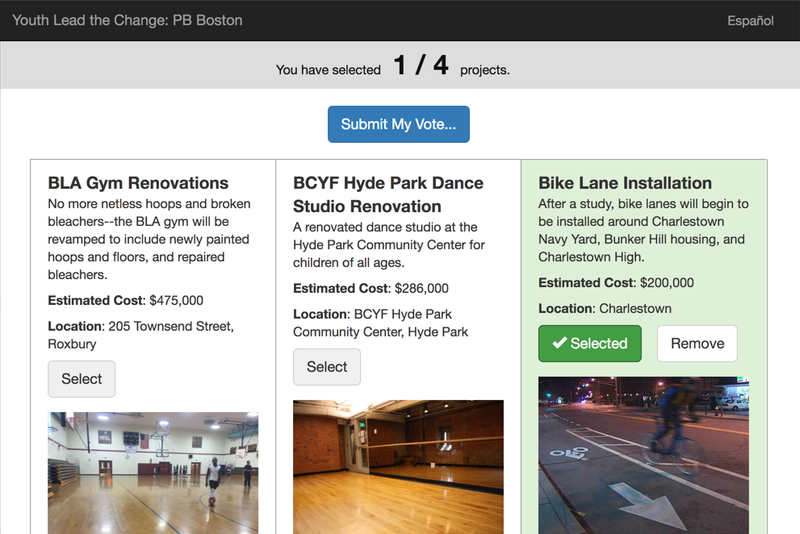 Stanford Participatory Budgeting Platform allows cities, municipalities, states and foundations and other organizations to run a participatory budgeting (PB) election in which people can vote on the budget. 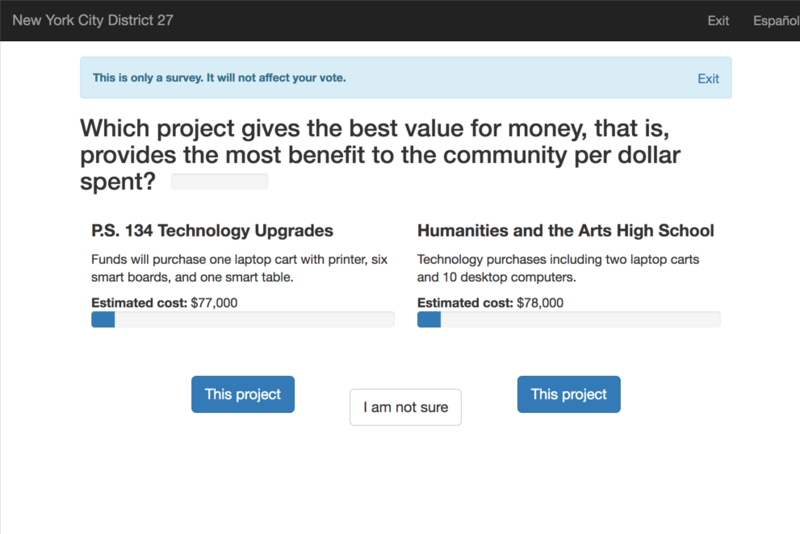 This project is made by the Stanford Crowdsourced Democracy Team at Stanford University. The project is open-source and free. Our platform has been used in many cities in the United States, such as Chicago, Seattle, Boston, and New York City. With simple and intuitive user interface, our platform is designed so that everyone can use it, whether they are tech-savvy or not. Our platform can be customized to suit your needs. We support many voting methods, such as approval voting, knapsack voting, and ranked voting. We also support remote voting. We currently support English, Spanish, French, Chinese, and Finnish on the platform. 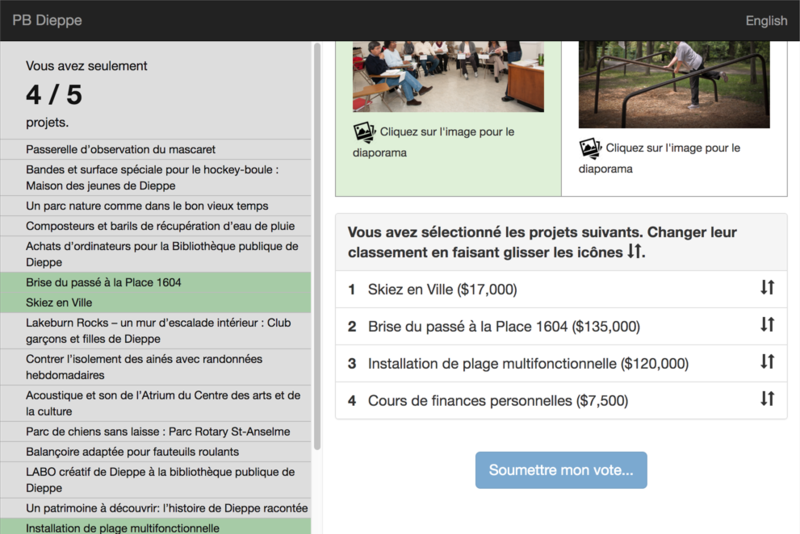 Our editing tool lets you enter projects in multiple languages. Our website adapts to the screen size of different devices. The website works everywhere whether it is on a PC or a smartphone. The analytics tools let you explore the data and gain insight into the voters' preferences through visualization while protecting their privacy. This is an open source project licensed under the GNU GPL v3.0 license. You can find the source code on GitHub. See some of the past PB elections below, or see the list of cities that have collaborated with us. Our mission is to scale up collaboration and decision-making. We envision an era in which large communities can deliberate and brainstorm with one another on important issues with the aid of intelligently designed algorithms and digital communication platforms. We believe that this will not only aid decision-makers in harnessing collective intelligence, but also lead to community members who are more informed and engaged in making their communities better. 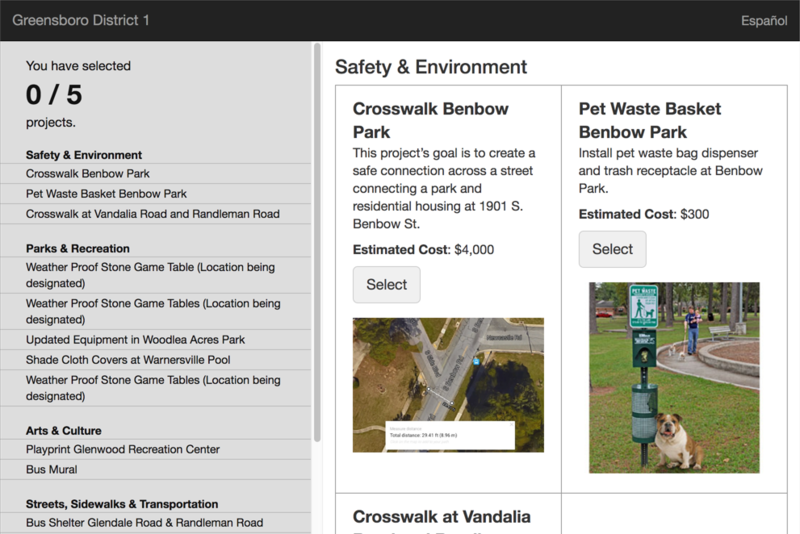 As part of this mission, our team has begun to partner with cities and municipalities to help organize local partipicatory budgeting elections. 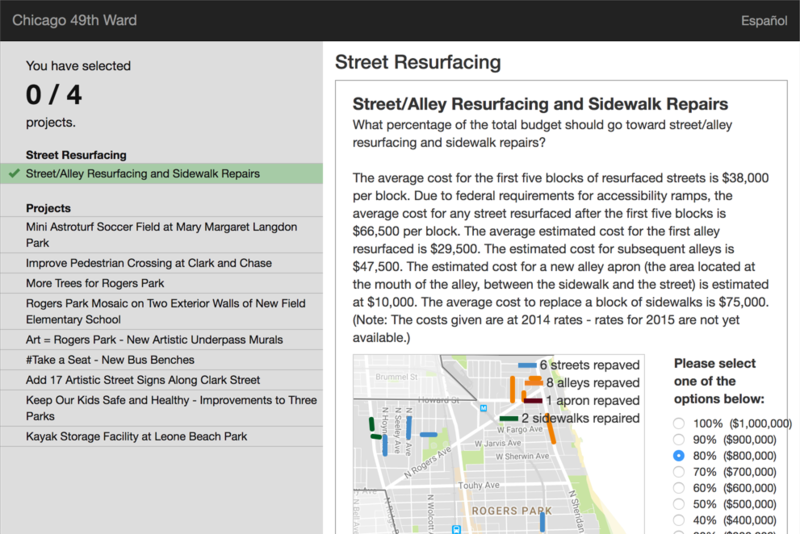 Stanford Participatory Budgeting Platform is a tool for participatory budgeting at the state, federal, and local levels. It will not only aid decision-makers in harnessing collective intelligence, but also lead to community members to be more informed and engaged. It was adopted from the earlier Widescope project. 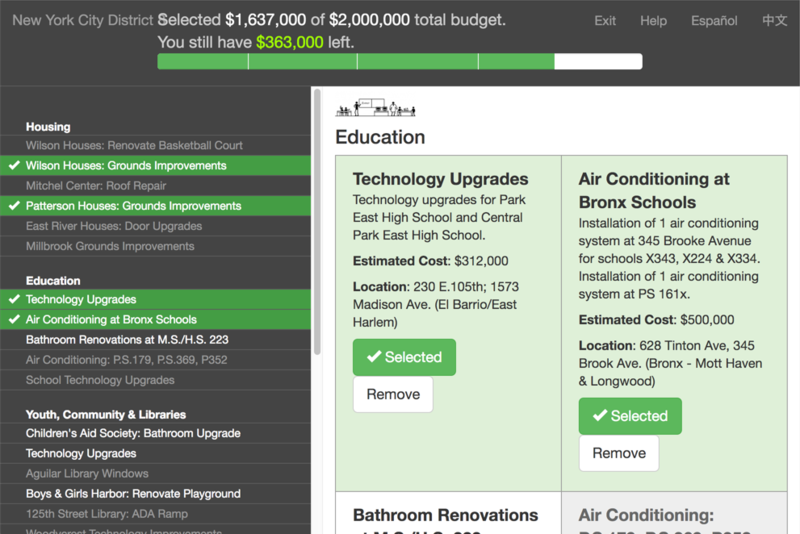 Read this Wall Street Journal article to learn more about it: Crowdsourcing Deficit Reduction. You can read more about our current work and publications here.